We were one of the first to introduce pattern imprinted concrete technology to the UK nearly 30 years ago. Using this wealth of experience, Drive Revival now specialises in the repair, maintenance and reseal of pattern imprinted concrete drives, driveways, paving and patios. 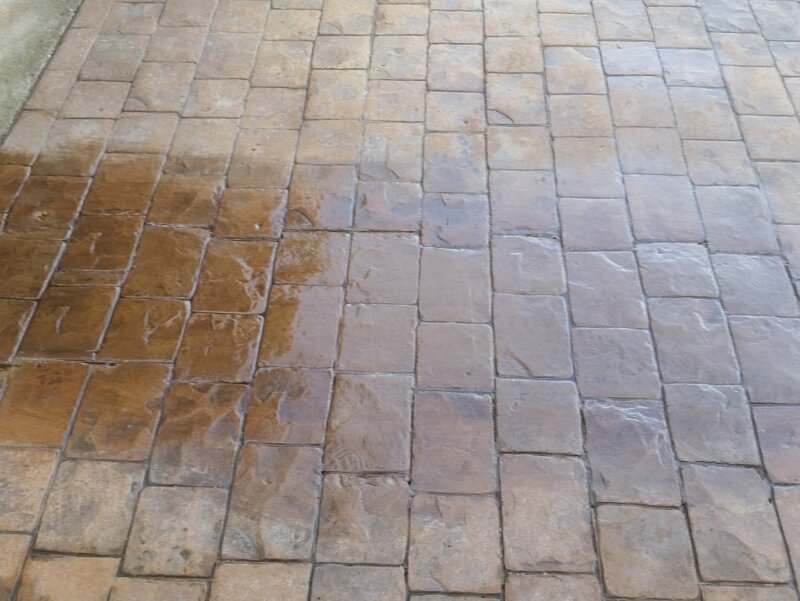 We professionally clean, repair and reseal your pattern imprinted concrete driveway, paving or patio. Using specialist chemicals, we break down the existing surface. 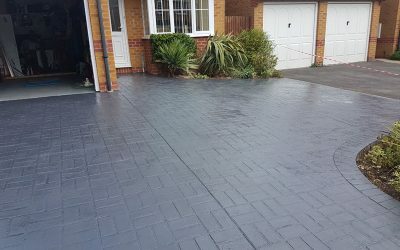 We repair any cracks, chips or crumbling using matching colours and then apply a new sealant coating to protect the surface against colour fade and frost, giving it that “as new” look. As with any new pattern imprinted concrete driveway or patio, this depends upon the amount of traffic and wear and tear. 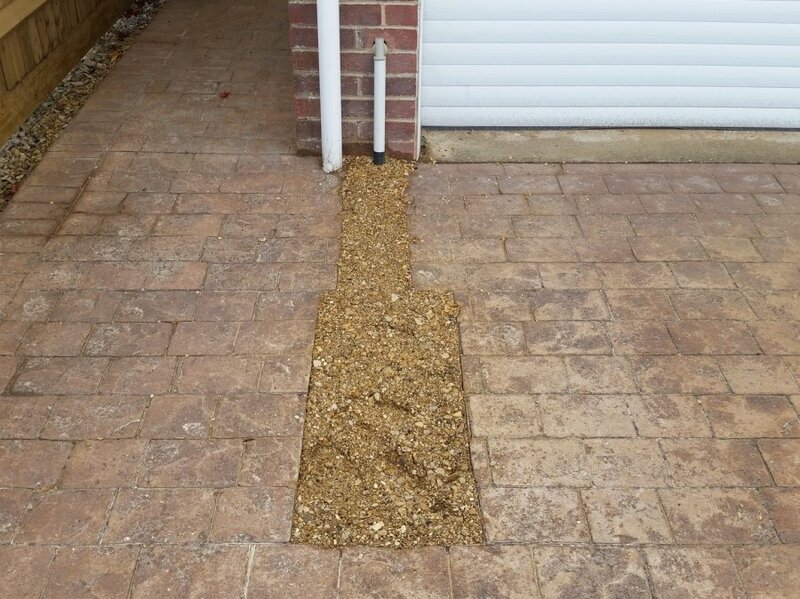 A regularly used drive may need to be resealed every 2-3 years, a patio that has infrequent use can last for 5 years before it needs a reseal. We cover the whole of the United Kingdom. Please use the enquiry form to request more information or contact me on 0800 587 8061. Patterned Concrete Reseal & Maintenance. After 3-5 years your driveway will have faded and need a reseal. Call us on 0800 587 8061 for more details. 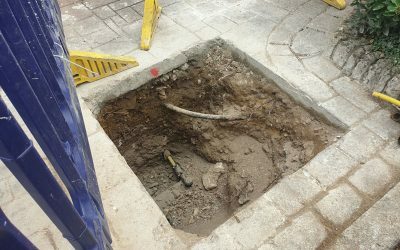 If your builder, contractor or utilities provider has to dig up your pattern imprinted concrete drive or patio, don’t worry – Drive Revival can repair it! Patterned Concrete Reseal Newbury. Is your driveway is looking old and tired? Give us a call on 0800 587 8061 we’ll make it look like new! We were one of the first to introduce pattern imprinted concrete technology to the UK nearly 30 years ago. Using his wealth of experience, Drive Revival now specialises in the repair, maintenance and reseal of pattern imprinted concrete drives, driveways, paving and patios. 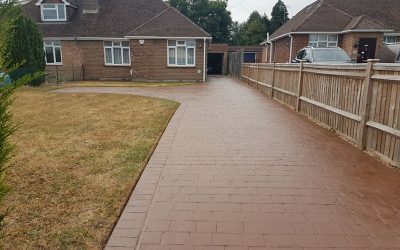 As an existing owner of one of these driveways or patios, you are already aware of the great benefits – attractive to look at, weed free, easy to clean. Now you think it’s starting to look a bit dull, there are some small cracks appearing, an annoying stain, the edges have crumbled a little bit and you want it repaired and restored. Our aim is to provide a competent and reliable nationwide service. We will undertake the work required as quickly and efficiently as possible. Our staff will always welcome you with friendly and attentive service. This depends upon how large an area is being restored. Typically, a patio can take a couple of hours. How long before I can drive/walk on the resealed surface? Once the surface has been sealed and depending on the weather, it can be walked on within a couple of hours. A car can be driven on it after 2 days. Will the products you use affect my plants? Certain compounds within the product are acidic. The purpose behind the product is to break down the sealant from the surface of the imprinted concrete. Every care is taken to ensure that break down is kept away from flower beds. A regularly used drive may need to be resealed every 2-3 years, a patio that has infrequent use can last for 5 years before it needs a reseal. An electrical supply and water. What sort of things can you repair? This depends upon the area and type of work required. All prices are calculated on square metres (m2). Complete the below form and we’ll call you back to discuss your patterned concrete repair needs.